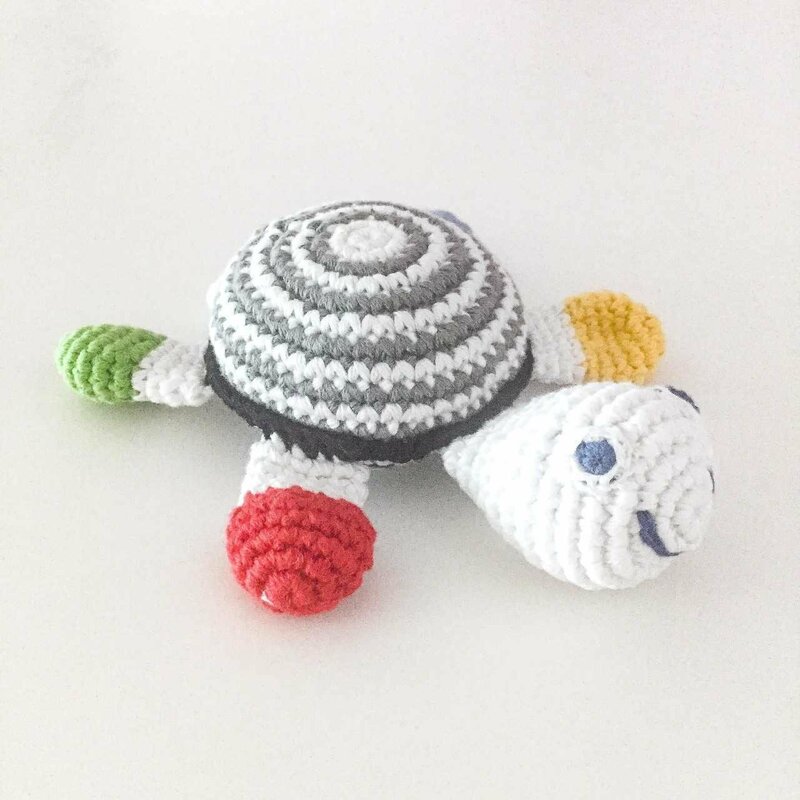 Black & white crochet cotton turtle baby rattle - part of our sensory toy range. Our turtle rattles have always been best sellers and this new sensory baby toy is a fantastic addition to the range. Young babies cannot see colour, so a high contrast black & white toys is ideal to stimulate and engage your baby. Handmade, fair trade, machine washable and suitable from birth. Best Years are a soft toy manufacturer based in the UK. All of our crochet fair trade turtle baby rattles are available to consumer, wholesale, retail and museum customers.